Fatuma has never known her father. He had denounced her as not being his, refused any support and disappeared. It was since reported that he had passed away. When Fatuma was born, her mother left her in the care of her great grandmother as her mother did not want to care for her either. Fatuma has not seen her mother since. 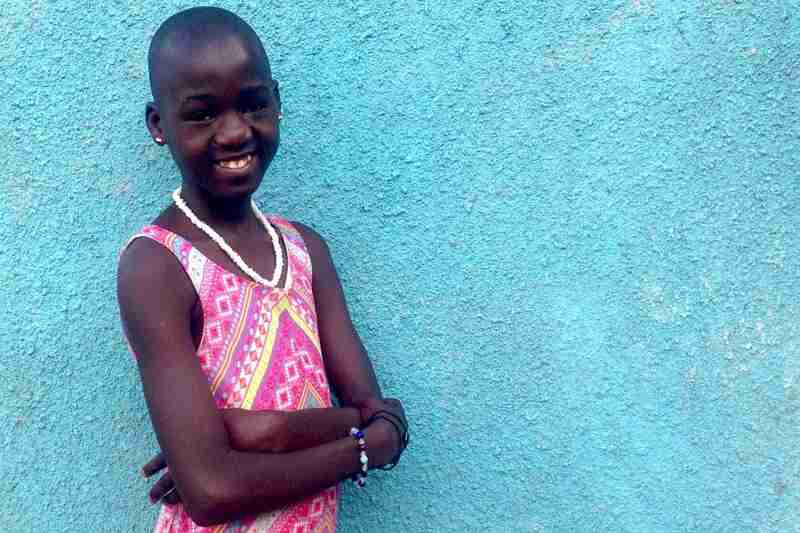 Fatuma’s great grandmother has done her best, but has not been able to afford school fees or other basic necessities for Fatuma and she has had to drop out of school in Primary 1. As she is getting older, the grandmother is no longer able to contribute to Fatuma’s well being at all, and Fatuma was forced to work for people in the neighborhood in order to earn money for food. 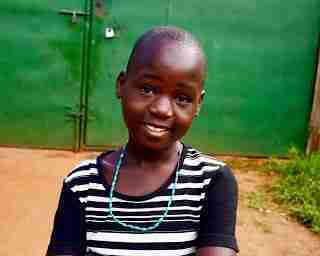 Her great grandmother knew that she could not provide for her and her sister Mutesi and pleaded for help to educate and support the girls. 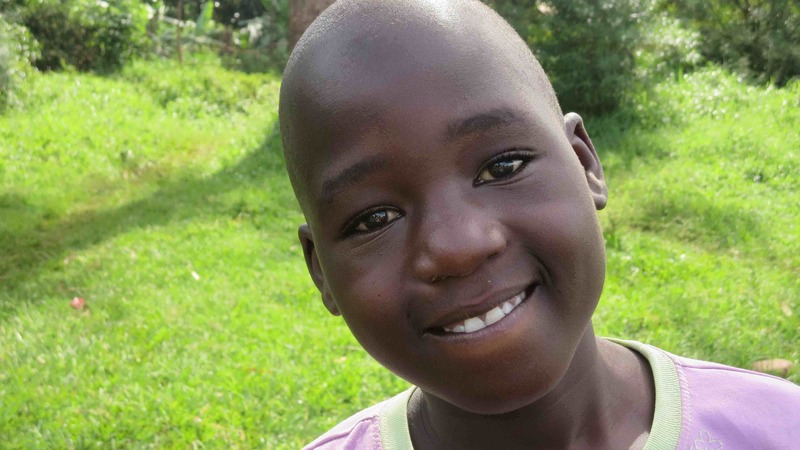 Fatuma and her sister, Mutesi, now live together in the Peace for Paul homes and are so happy. 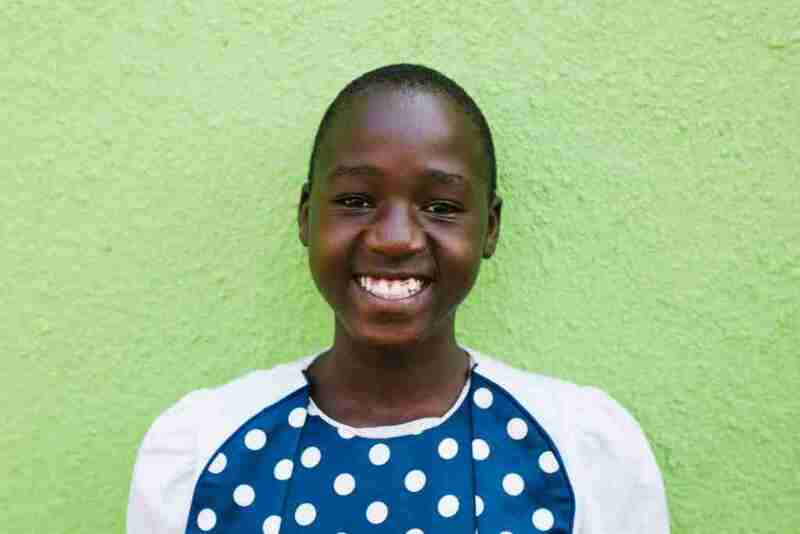 Fatuma is quiet in nature but always happy to help with household chores, such as cooking, but also really enjoys her time jumping rope and playing games with her sisters. She is so happy to be in school and is so proud as she is learning to read and write.